Our earth based body wrap formulas include Sea Mud, which will pull, tighten and contour your body during the treatment process. Our Sea Clay formula is a variation of the mud type which has been enriched with seaweeds. Our four earth based Body Wrap Formulas include Sea Mud, Sea Clay, Eurpoean Dry Mineral and Aloe Vera. All available from 32 oz. to 5 Gallons. Whether your Esthetician or Body Wrap Studio, these 4 proven formulas will Pull, Tighten and Contour to the body into the shape you always wanted! 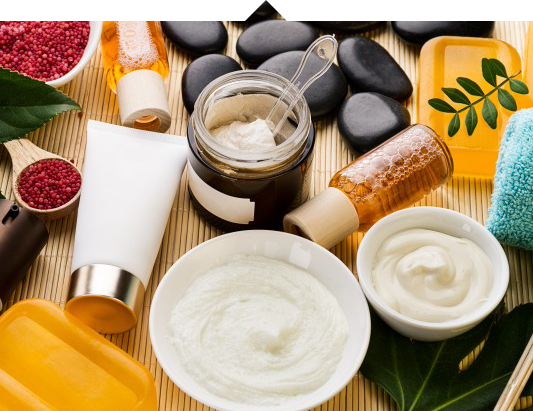 We offer many Home and Salon Kits, all the same ingredients but special packaged to meet any budget. Now you can purchase one complete package to treat all those special areas from Facial, Cellulite and shed those unwanted inches. Our world famous Miracle Gel and Slim Thighs has been featured on TV, desinged to help eliminate those unwanted wrinkles and cellulite reduction. Combo these treatments with our daily maintenance products of Aloe Vera Body Wash and Amino Acid Spray you’ll be on your way to success. 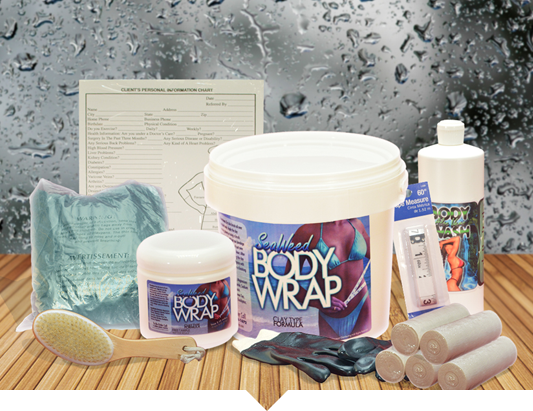 Were your one stop shop for Wholesale Body Wrap Supplies. From Tape Measures to Warming Ovens we’ve got you covered.